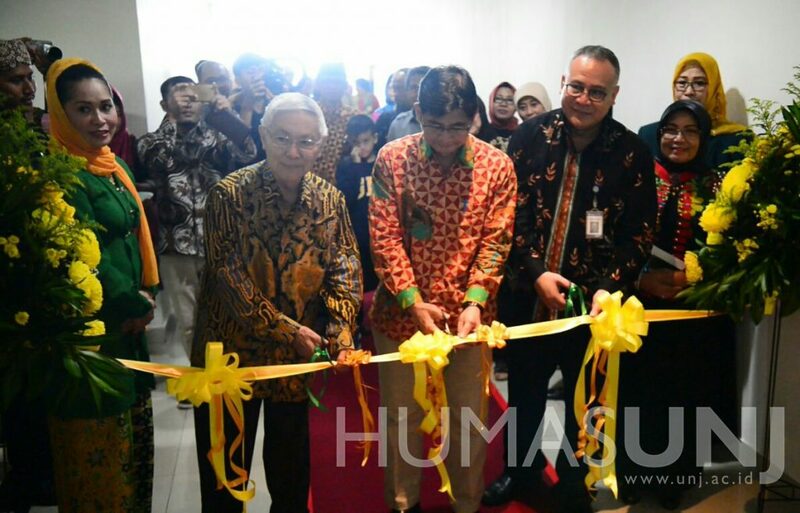 Tuesday (18/12) Universitas Negeri Jakarta (UNJ) Postgraduate Program inaugurated their library. This inauguration was held in Cy-Learn Room 6th floor, Bung Hatta Building and was attended by Prof. Dr. H.A.R Tilaar, Prof. Dr. Anna Suhaenah Suparno, Ad interim Rector of UNJ Prof. Intan Ahmad and his vices, Director of Postgraduate Program Prof. Ilza Mayuni, MA. and her vices, lecturers, postgraduate students and other invited guests. This event was also held as a celebration of one year of postgraduate revitalization. Opening the event, Prof. Ilza Mayuni, MA. informed that this year, the UNJ Postgraduate Program has a new library equipped with accessible digital services to aid Postgraduate members. 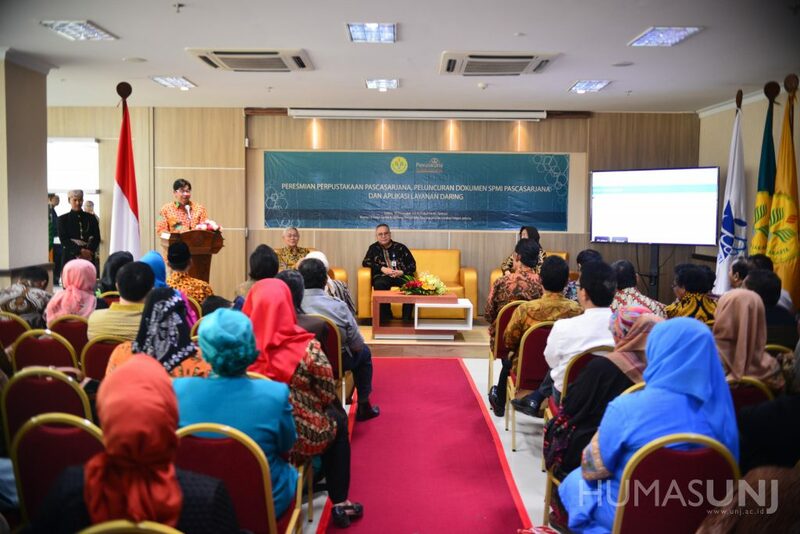 “Adjustment and maintenance in every sector of Postgraduate Program, starting from regulations, human resources, academics until infrastructure, are still ongoing to increase the quality of Postgraduate Program alumni,” said Prof. Ilza Mayuni. The next agenda was a speech from Prof. Intan Ahmad as the ad interim Rector of UNJ. Prof.Intan Ahmad stated in his speech that the UNJ Postgraduate Program should be able to produce or develop knowledge in the education sector further as a contribution to Indonesia or even the world. “I am thrilled to see your hard work and effort this year. 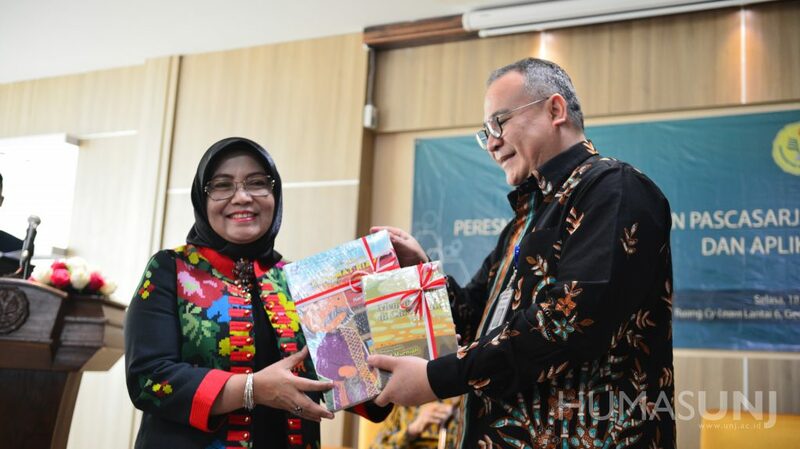 We hope that the UNJ Postgraduate Program can be the patron in terms of education for other Postgraduate Program in Indonesia someday,” explained Prof. Intan Ahmad. Besides the inauguration, the UNJ Postgraduate Program also launched three new apps or CyberLearning (Cy-Learn): Synchronize Learning, Flipped Learning and Online Learning, which will support the Postgraduate Program learning process. A teleconference was one of them. Teleconference lets students interact with educators from many places. Therefore, it eliminates distance in the learning process. Cy-Learn aims to improve the quality of Postgraduate Program alumni and to correspond with Industry 4.0 by using the technology of information. 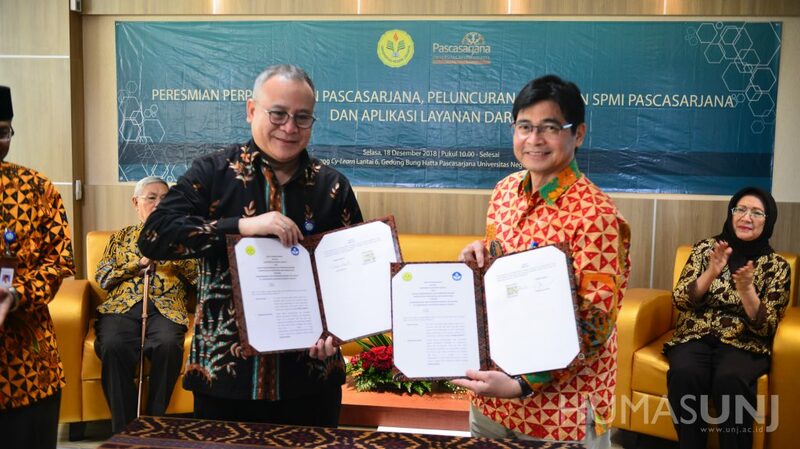 The event was followed by a signing of the agreement memo in resource utilization, development and language research between UNJ and The Language Development and Fostering Agency. The next agenda was book donation by Prof Dr.H.A.R Tilaar, Martha Tilaar, Prof. Dr. Anna Suhaenah Suparno, and The Language Development and Fostering Agency that later will complete book collections in the library. “Thank you, Ad interim Rector, Head of Language Development and Fostering Agency, and the invited guests. This event is proof of UNJ Postgraduate Program revitalization. 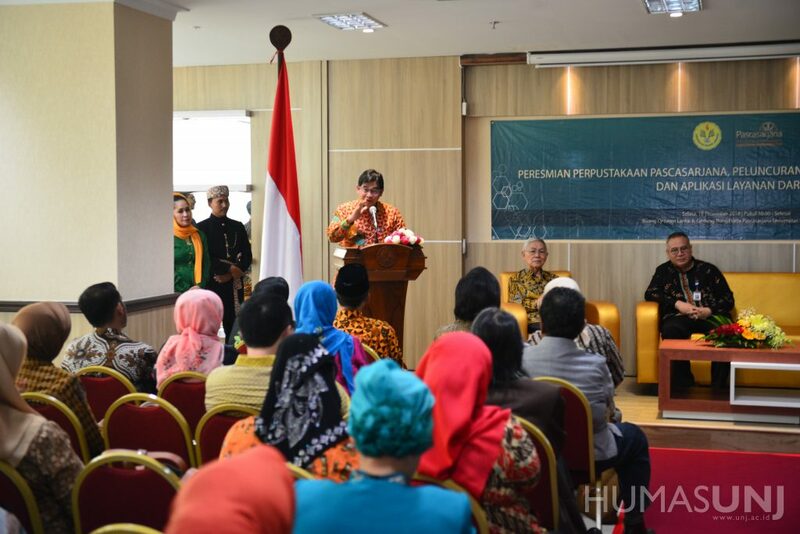 UNJ Postgraduate Program will continue to grow,” said Prof. Ilza Mayuni in her speech.